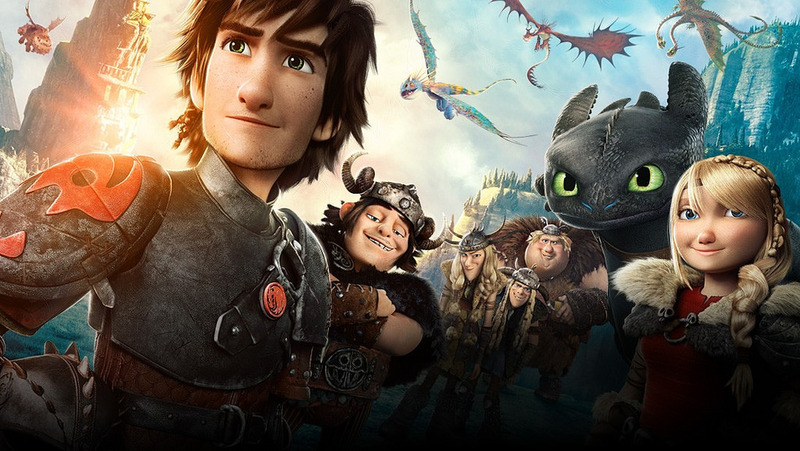 The final movie in the "How to Train Your Dragon" series has finally been released, and it did not disappoint. "How to Train Your Dragon: The Hidden World" was released in theaters on February 22nd and featured many characters from the original film. A floodgate of tears were streaming from my eyes as I watched the new (and sadly final) movie in the How to Train Your Dragon series. As a fan of the wholesome and comical movies since the first one was made in 2010, I knew this finale was not going to be easy to get through. I, of course, was right. Walking into the movie theater, I knew all too well that I would walk out with red eyes from wiping my tears on my sleeves. Preparing for the end of a series was a struggle because I have held this series very close to me since my childhood. The thought of an impending snowstorm that was threatening the probability of my friends and I making it back home alive didn’t help either. However, as a true fan, I was not going to let some “blizzard” get in the way of my need for nostalgia. We were going to make it to that movie, even if we died trying. The ride to the theater was a breeze because the snow had not started yet. As we listened to the gorgeous soundtracks of the previous movies on the way to the theater, our excitement could no longer be contained. Hunger was beginning to hit us, so we decided to satisfy ourselves with some taco bell in order to avoid the extreme food prices at the theater. After we had tamed our hunger, we were off to see the movie that sophomore, Lindsey Miest, described as, “a heartfelt film that ended the series in a perfect way.” Knowing that it was the end of what felt like an era, Lindsey reflected on all of the movies by saying, “It wrapped up any questions and left the series on a good note. The animation has only gotten better through each of the movies, and the storyline continued to flow through the characters’ development.” The beauty of the movies can be found in both the story line and the visuals itself, so it is not hard to feel the characters’ struggles and victories as we have grown with them. Tom Sucher, a senior, also had a high opinion of the movie as he said, “The soundtrack was amazing, the plot was pretty good, and the characters were relatable yet distant.” Something that I too have always held in the highest regards is the beautiful soundtrack by John Powell, who yet again out did himself. His ability to set the mood perfectly throughout the whole movie alone is enough to make you smile, laugh, or cry (which happened a lot). For those of us dedicated enough to get a heaping dose of sentimentality, we were willing to face the elements and almost die on the way home in a blizzard. Overall, the movie, How To Train Your Dragon: The Hidden World, was a perfect addition and conclusion to the series for many of its dedicated fans. Lindsey wrapped up her thoughts on the movie by saying, “it was a unique series that I will personally miss watching. Even though it was a “kid’s series,” it was still fun to watch even as a teenager because it never got boring or cheesy.” As myself and many others left the theater with feelings of both sadness and satisfaction, the tears that I was shedding seemed to be mutual amongst everyone. My only hope as a die-hard fan is that people will see what all of these movies have to offer, and I hope that they get a chance to cry as much as I have.